The first Cheese related picture for The Mighty Cheeseboard was sent in by young cheesefan Daniel (age 31) - Daniel writes "is this your ideal home?" - yes it is thanks Dan! So for my first cheese review I went with the soft Itallian cheese Taleggio. Its got a strong familiar woody smell to it, but despite its pong (which prompted many comments of "smell my cheese" whilst I was tasting it) it has a relativly mild and creamy taste with just a slight tang to it. With a bit of research, I can tell you its name is down to it being produced in the Val Teleggio region of Italy (an Alpine valley between Bergamo & Lecco) and it is mainly produced in Autumn and Winter when the cows are tired! Sleepy cows must make tastier milk then??? A very nice cheese to start my cheese adventure - if you enjoy a soft cheese like a Port Salut, but want a more distinct cheese with a good smell (seriously I was smelling this cheese for longer than i was eating it! 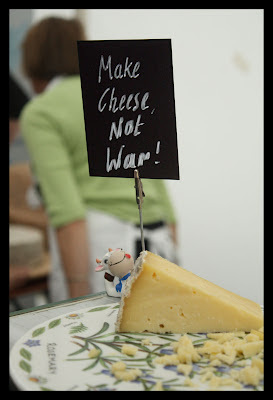 ), then I recommend you nip out to your local cheesemonger and ask for a piece of Taleggio! "The Mighty Cheeseboard" is a blog for Cheeseminded individuals who love all things cheese! 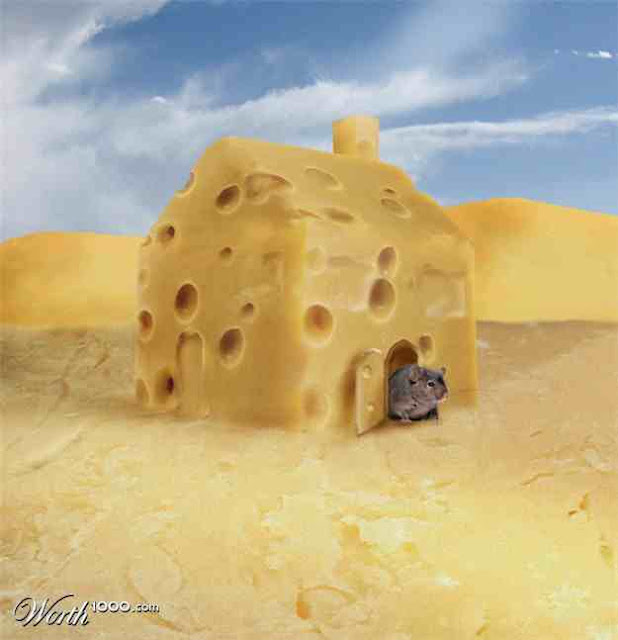 There will be regular cheese related updates including "Cheese of the Day" posts, Local Cheeseshop reviews, "the Cheese-Off" taste tests, Cheese Events and general Cheese tomfoolery.